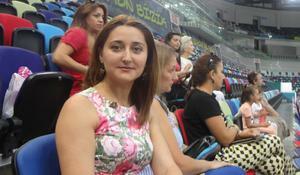 The second day of competitions at the 25th Azerbaijan and Baku Championships in Rhythmic Gymnastics started in the National Gymnastics Arena in Baku Aug. 11. 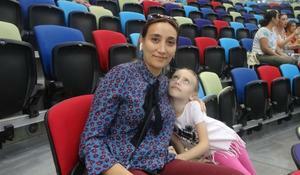 The competitions in the National Gymnastics Arena are always organized at the highest level, Sabina Derdiyok, a spectator at the 25th Azerbaijan and Baku Championships in Rhythmic Gymnastics, told Trend Aug. 11. 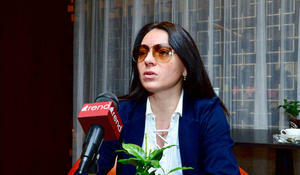 The development of gymnastics in Azerbaijan is connected with the name of President of the Azerbaijan Gymnastics Federation (AGF) Mehriban Aliyeva, head coach of the Azerbaijani rhythmic gymnastics team Mariana Vasileva told Trend Aug. 10. 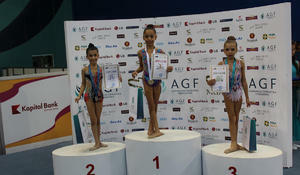 The coach of Azerbaijan’s Ojag Sport Club Elnara Huseynova is pleased with the performance of her gymnasts performing at the 25th Azerbaijan and Baku Championships in Rhythmic Gymnastics. A ceremony to award the winners of the 25th Azerbaijan and Baku Championships in Rhythmic Gymnastics was held at the National Gymnastics Arena in Baku on Aug. 10. Competitions started at the 25th Azerbaijan and Baku Championships in Rhythmic Gymnastics at the National Gymnastics Arena in Baku on Aug. 10. 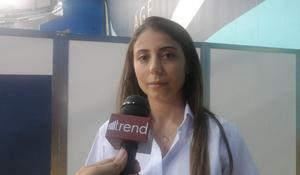 All competitions at the National Gymnastics Arena in Baku are perfectly organized, spectator at the 25th Azerbaijan and Baku Championships in Rhythmic Gymnastics Gulanbar Badalova told Trend Aug. 10.